Today marks exactly eight months since Denmark introduced temporary ID controls at its border with Germany in order to manage the influx of migrants and refugees coming to the country. Over 1.7 million people have been checked during this period. A total of 2,162 people have been denied entry and sent back to Germany, and 185 people have been charged with human trafficking. 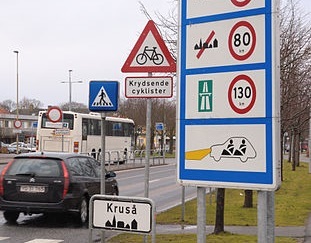 There are 15 border crossings between Denmark and Germany in total, but the ID controls have been mostly carried out on three routes in the southern Jutland towns of Padborg, Kruså and Frøslev, at the railway stations in Padborg and Tønder and at the ferry ports of Rødby and Gedser. The temporary border controls will remain in place until at least November 12. The same also applies to the Swedish border controls.